October is National Manufacturing Month, a time to put a spotlight on the positive impact of manufacturing companies and skilled workers across America. This monthly observance stems from National Manufacturing Day, a day traditionally recognized on the first Friday in October to support and inspire future generations to seek careers in manufacturing. Double R Manufacturing’s team of skilled engineers and craftsmen are proud to be part of a leading industry in Florida’s economy. Countless hours have gone into a wide-array of training programs to fine-tune machinery operations and sharpen skill-sets. Our talented workforce specializes in manufacturing and custom fabricating products that are built to last. We all know that manufacturing is a broad term for making something. It could be one item or the mass production of items. Custom fabrication, however, is the art of making something unique and specific for your needs. Double R Manufacturing’s custom fabrication and design services include meticulously bending, cutting, assembling, and delivering strong products with both functionality and longevity. From abrasive water jet cutting of sheet metal to a smooth powder coating – Double R’s craftsmen combine skill with the best possible materials to provide the highest-quality of finished products. As artisans and problem solvers, we can also use sandblasting techniques to turn a rusty piece of metal into a beautiful work of art. Our skills help us bring products and ideas of nearly any complexity to life. With 75 years of combined experience in design and fabrication, we are thrilled to celebrate the limitless benefits of high-quality manufacturing. Our unique list of specialty items have included carts, trailers, tool boxes, roof supports, shelving, clothing racks, yard art, wall art, gun and storage boxes, hooks, small bridges, ramps, stairs, railings, bumpers, tables, benches, signage, marine products, and custom BBQs. Around Ocala and North Central Florida, we are widely known for custom gates, entrances, stall doors, stall breeding stocks, and stall shutters. The list doesn’t stop there. Double R Manufacturing is ready to surpass your expectations with durable products and equipment to meet your unique needs. We work with individuals and corporations on projects big and small. Call Double R Manufacturing today at (800) 813-3361 to learn more about our products and services. September marks the peak of hurricane season in Florida, which prompts many of us to take action in protecting our homes and businesses. In addition to storm supplies and emergency preparedness kits, it is important to complete an exterior check before any storm to evaluate the durability of products, equipment, and other items around your property. The best line of defense when battling rain or wind is making sure you have the best quality products possible. It is critical to ensure the proper fitting and durability of your fencing, gates, stairs, railings, stall doors, signage, shutters, and other manufactured items around your home or business. Many mass-produced items from big-box stores and other retailers can be flimsy, ill fitting, quick-to-chip, and lack longevity. That is why Double R Manufacturing specializes in the custom fabrication and design of built-to-last products and equipment. Double R Manufacturing’s skilled engineers and craftsmen strive to ensure each design and fabrication is superior in quality to our competitors. Our goal is to deliver products that are fit to weather our local storms in Ocala as well as handle the weather elements beyond Florida. For example, our custom stall doors are manufactured using top-quality steel, stainless steel, and aluminum. We professionally coat the fully welded doors in a rust-inhibiting powder coating. These durable coatings are available in thousands of colors to create beautifully finished products to fulfill each customer’s unique wishes. Imagine nautical images featured in a sturdy railing or a galloping horse design in the center of your elegant, fully welded entrance gate with a top-of-the-line operating system. With the right tools and experience, Double R Manufacturing is prepared to build whatever you can imagine. 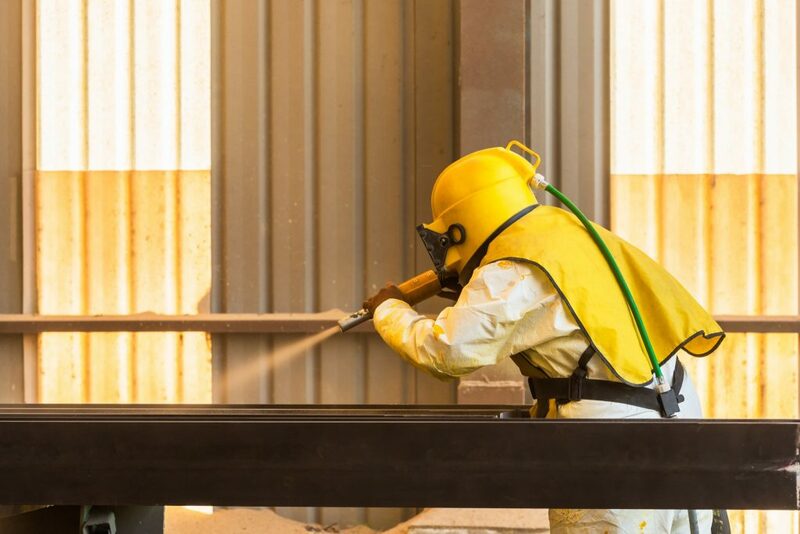 From sandblasting and water jet cutting, to custom fabrication and final powder coating, our specialists use the best possible materials to provide the highest standard in finished products. We would be happy to discuss your options for products and materials built to withstand designated wind speeds or designed to prevent corrosion during storm season. Through attentive service and beautifully designed products, Double R Manufacturing is ready to meet your needs and surpass your expectations with durable products and equipment. We work with individuals and corporations on projects big and small. Call Double R Manufacturing today at (800) 813-3361 to learn more about are products and services.